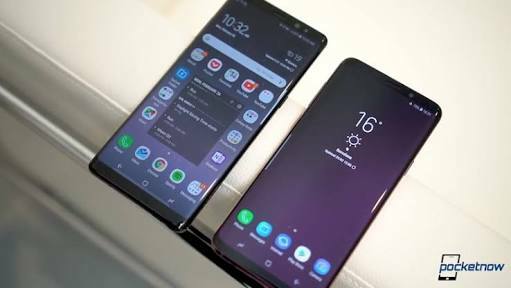 Let’s show you how you can simply bypass screen lock on any Samsung Galaxy phone like S9, S9 Plus, S8, S8 Plus, S7, S7 Edge, S6, S6 Edge Note 8, Note 5, Note 4, Note 3, Note 2 etc. Android devices have gone from the device we mostly used to make just phone calls to a very important storage device. We store a whole lot of data on our Android devices; banking apps, Crypto currency wallet details, Pictures, Login details to all social networking and Messages websites and apps etc. Gone are the days we lose only phone numbers when we misplaced our phone, now we lose so much more than just phone numbers like the aforementioned. With all these data on our Android device, came the need to protect and keep these data safe. Smartphone manufacturers have since taken up the battle churning different ways for you to protect your phone and the contents in it. We have PIN, Pattern, and Password which are the Basics and the more recent and trendy ones which are Fingerprint, Iris Scanner and Face ID. All these are meant to keep your device safe. Although, Majority of people still use only the good old-fashioned PIN, Password or Pattern simply because it is much more secure and i do agree. However, using any of these 3; PIN, Password Pattern can sometimes be a problem when you forget it and have no other way of Unlocking your device. Well Luckily for you, We’ve got a solution to help you bypass screen lock on any Samsung Galaxy phone you might have. There are 2 ways to bypass screen lock any Samsung Galaxy Phone. The first will be using the universal Google’s FindMyDevice Website which can also do the same for any other Android device. Head straight to the FindMyDevice Website. Log In Using the Google Details attached to your Samsung device. It will bring out all the devices the google account is currently logged in on if your device is the only one it will show only yours. Click on Lock and Input a password. This password will replace your current lock screen. (Your phone has to be connected to the internet either via Data connection or connected to a WiFi network for this to work). You’ll get a successful message once the password has been changed. Now pick up your phone and input the new password to unlock it. After Unlocking your Samsung Galaxy device, Go to Settings >> Lock Screen and Security >> Change it to anyone you like. This is somewhat the same as the FindMyDevice method but strictly for Samsung devices. Visit the Samsung FindMyMobile Website. Log In using the Samsung Details attached to your Samsung Galaxy device. You’ll get a “This function has been executed successfully” message on the website. You Samsung Galaxy device should be unlocked now. These are the two ways to bypass the screen lock on your Samsung Galaxy device. A more drastic albeit useful way to bypass screen lock on any Samsung Galaxy Phone would be to boot into recovery and wipe data/Factory Reset. Although you will lose all your important files and data on your device it will get the job done.